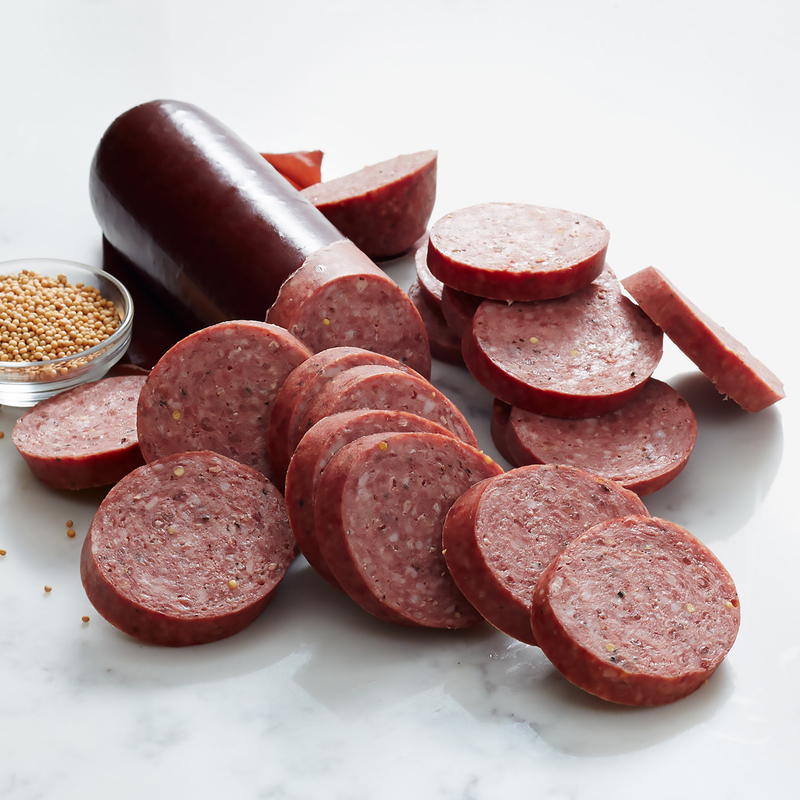 Our selection of favorite cheeses meets a party-size portion of our famous Signature Beef Summer Sausage in a meat and cheese gift that's the perfect addition to any celebration! 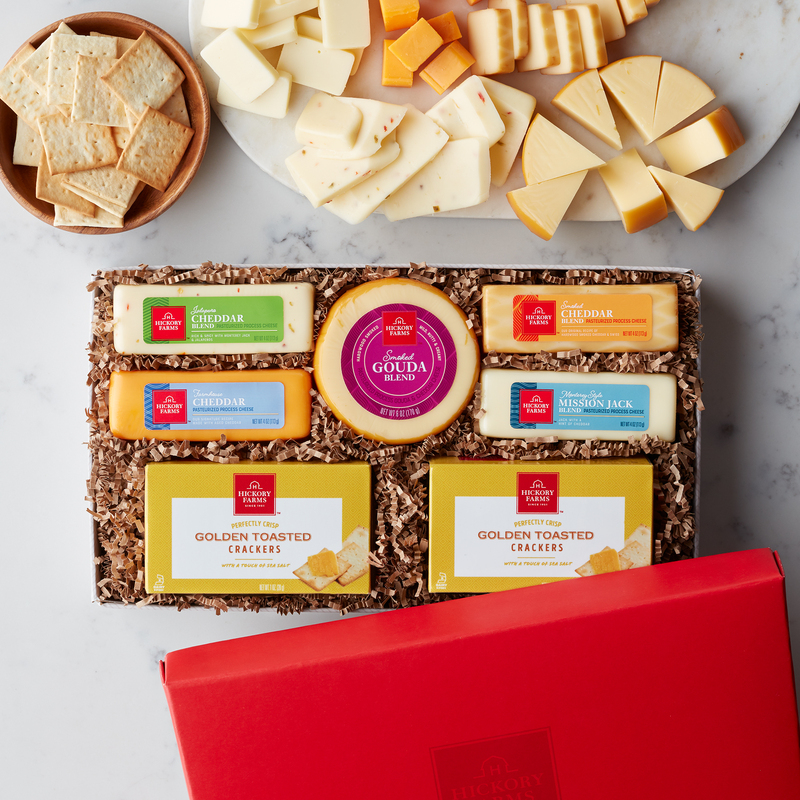 There's five delicious kinds of cheese, like Smoked Gouda Blend, creamy Mission Jack Blend, and three types of cheddar. It'll be hard to choose a favorite. 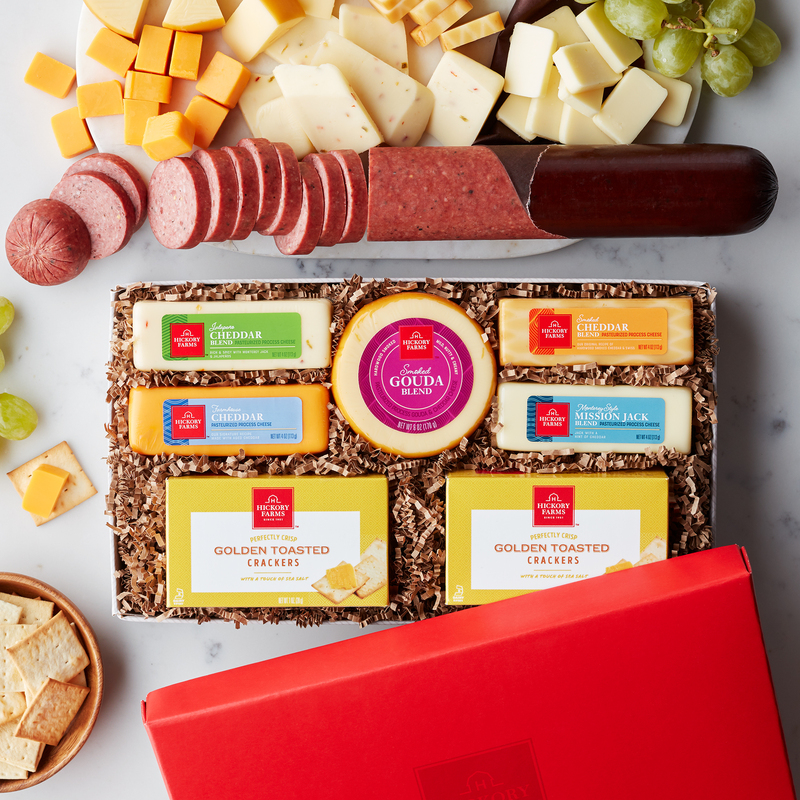 Send this delicious gift to the cheese lover in your life for the perfect selection of snacks delivered right to their door!